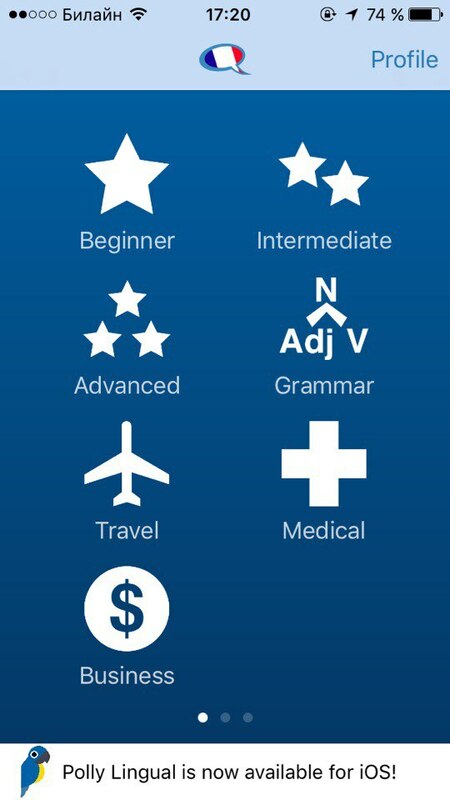 Learning languages today is easier with numerous apps. Some of them have special courses, other suggest learn language through games. But if you are interested in French you need to learn more than just definitions. You also have to find information about verb tenses, conjugations and idiomatic phrases. All of these elements could be found in some apps that we are going to review. One of the most effective methods to learn French is listening and repeating. 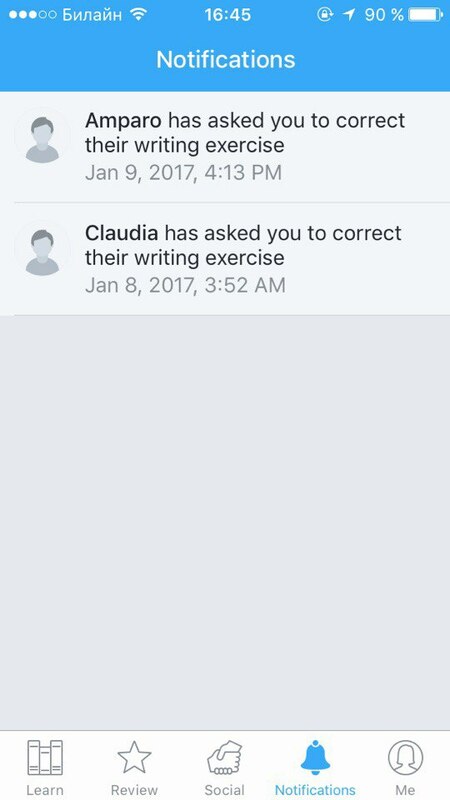 In this app you begin with the basic dialogs, which help you to memorize lexis and use it correctly making the sentences. 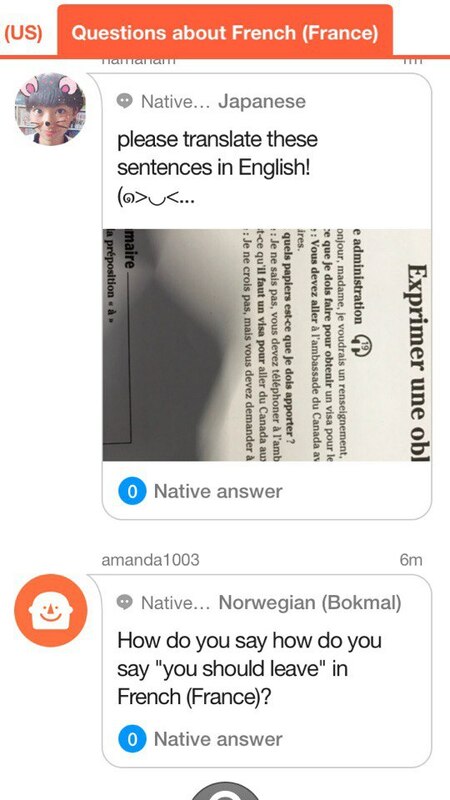 Duolingo is one of the most popular apps among users from different countries. It has a structure of exercises on many topics from the basic (food, clothes, people) to advanced (culture, politics, environment) categories. To complete every category there are tests and quizzes. 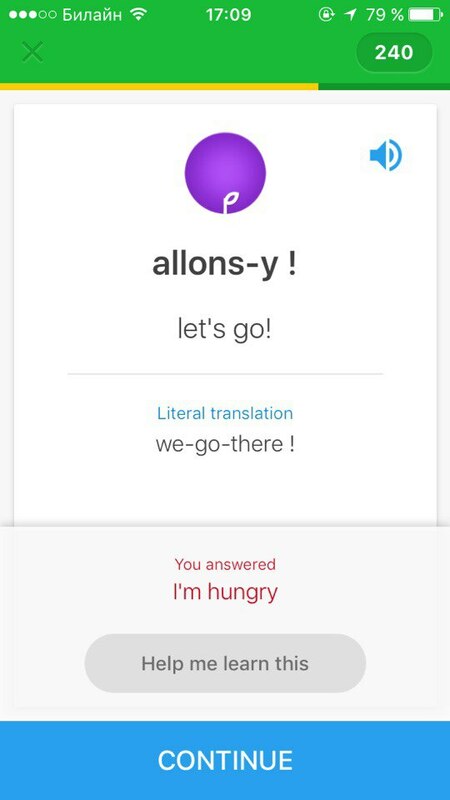 Memrise is unique online platform, focused on memory training. 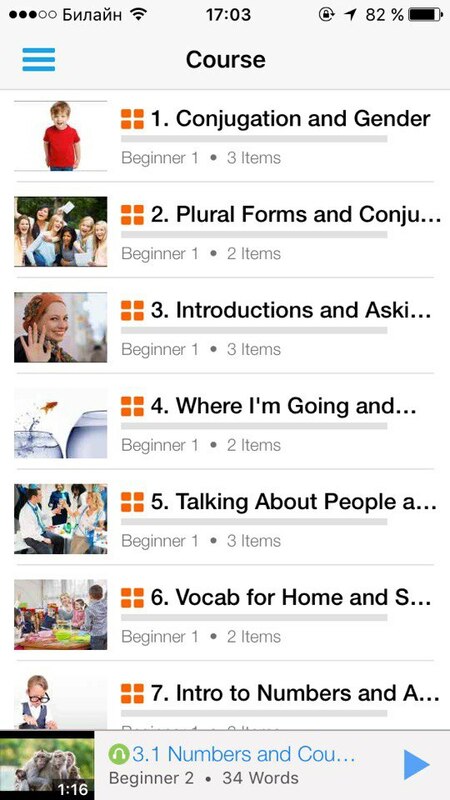 The main idea of this app is that users create their own courses. It is allowed to everyone to create mems. Mems are used to demonstrate associations of unknown word or notion. You may create mem as picture, video, description card… Use your imagination or discover already made mems from other users! One of the aspects of successful memorizing is repetition. 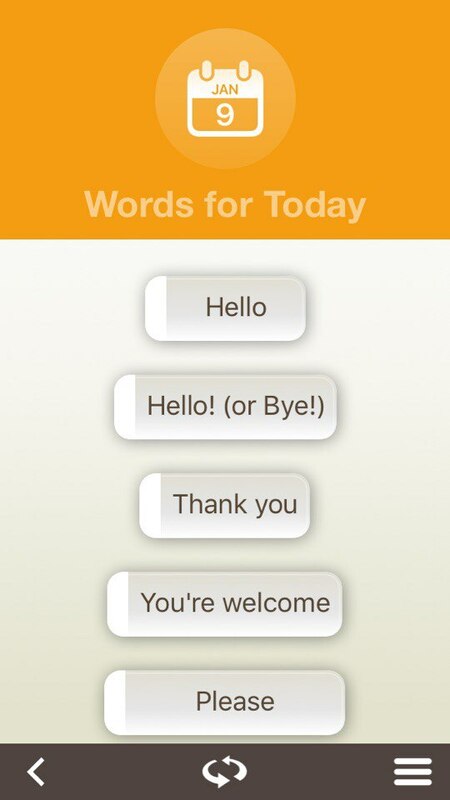 Memrise also helps you not to forget new material and puts you knowledge deep into you brain. 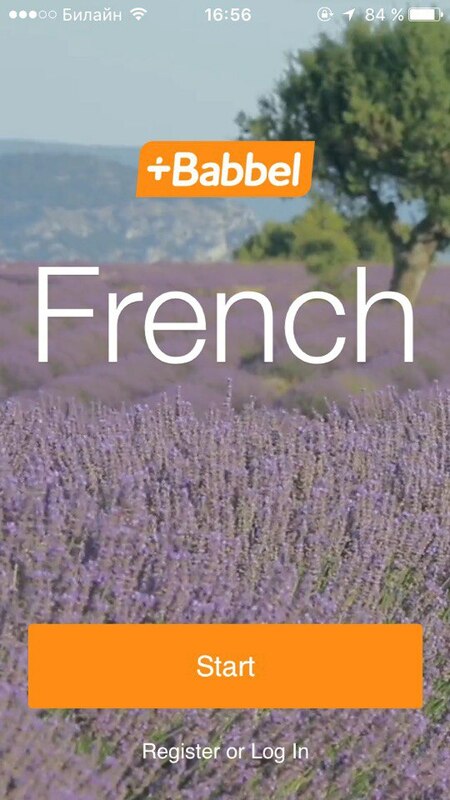 If you are a beginner in French, or want to speak fluently as a local next time you go to France, then Babbel is for you. Many users mark the high quality pronunciation of the speakers, so it will be easy to understand them. You also may do phonetic tasks, record your voice and compare it with the speaker. 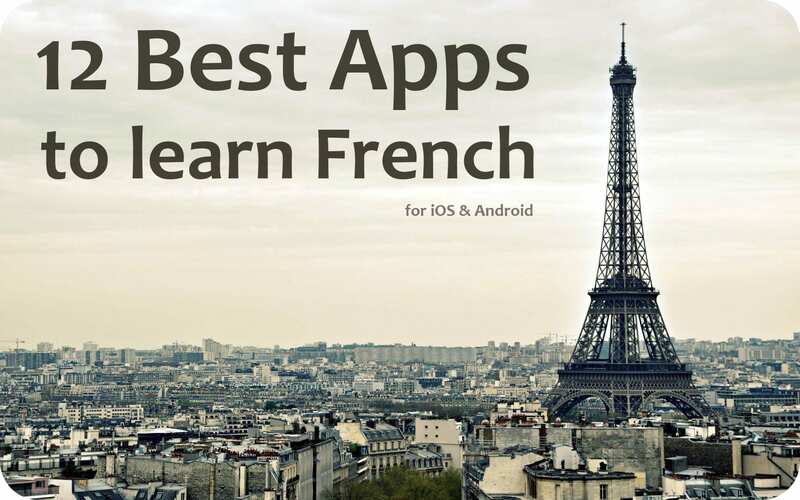 Being awarded several times as one of the best educational app, Busuu suggests two courses of learning French – free and premium. Different kinds of visual exercises and audio-tasks include corrections from native speakers. 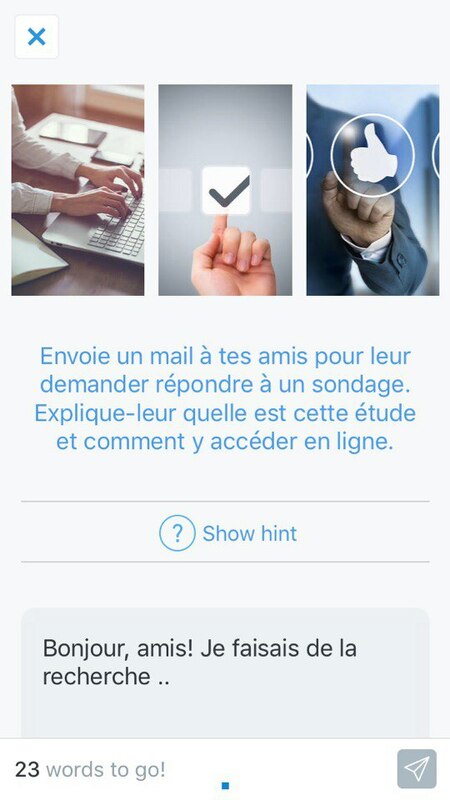 Busuu also has social network opportunities as adding friends and studying together. You may request for help from your friends and check each others exercises. Nemo is an app built on personalized learning, not on lessons. The main advantage of Nemo is an ability to skip the material you already know. 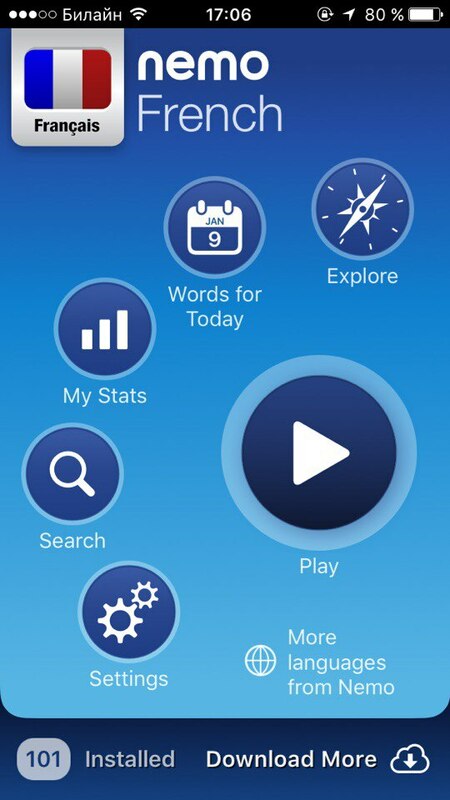 With help of this app you could learn a lot of essential words, phrases and idioms. The interface is very nice and simple. 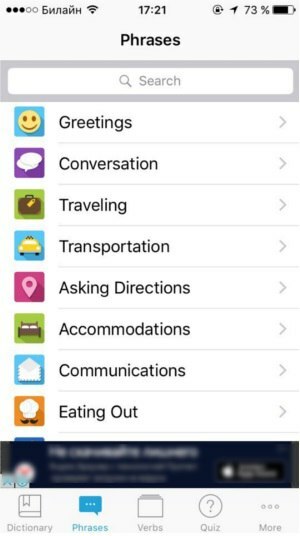 It also works as a phrasebook, with convenient alphabetical order, search and scale showing more or less popular phrases. 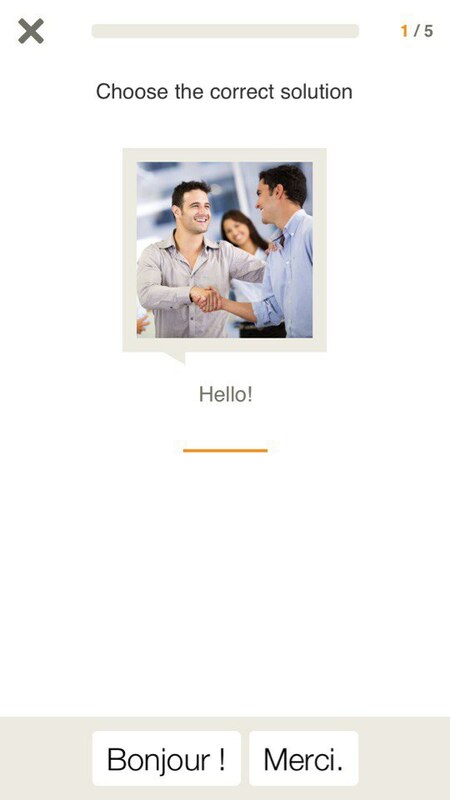 It is very convenient to use Nemo as your personal interpreter with offline-mode. 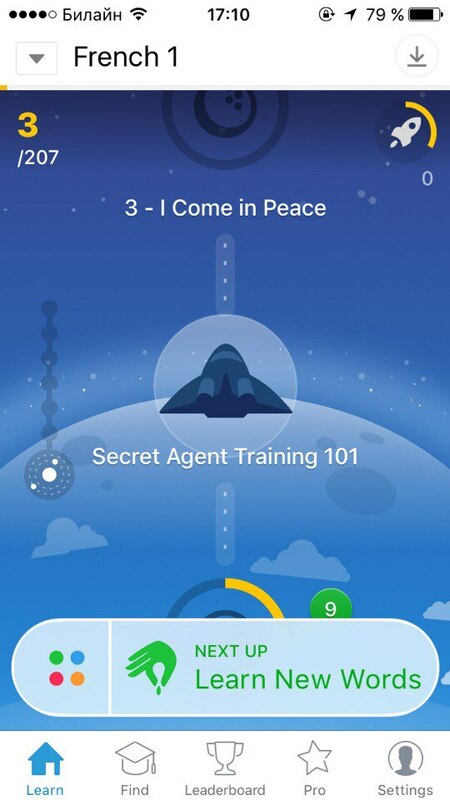 FluentU is unique app for both beginners and active speakers. It does not have any lessons or flashcards, its main course is video-teaching. French language has very specific pronunciation, and the value of constant listening to the native speakers is evident. 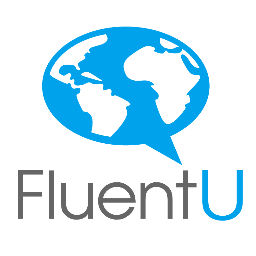 What is more, with the help of FluentU you will learn popular colloquial phrases and slang. 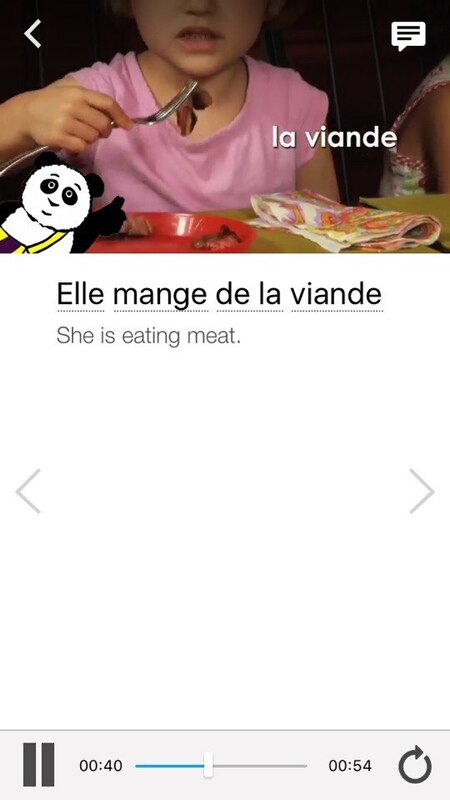 This app is definitely the best way to understand French culture, symbols and humor. You don’t need to worry about misunderstanding of hypersonic French speech, all the videos have subtitles, which contain active links on the words and phrases descriptions and definitions. If you will be out of Internet soon you can download to cash the videos you like and watch them later. 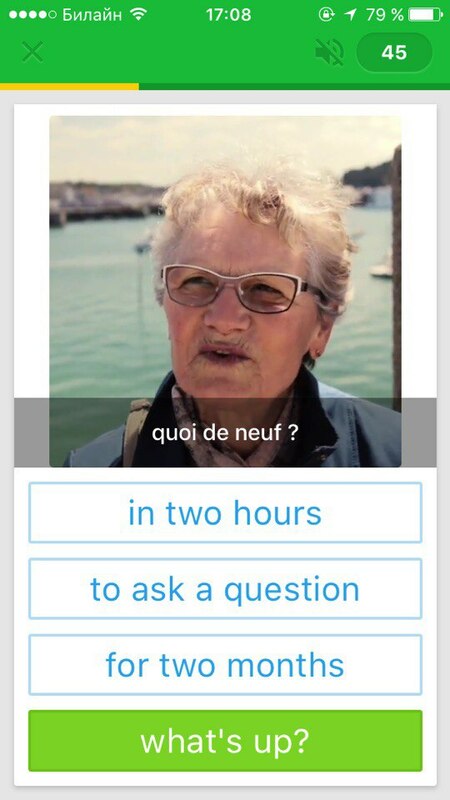 This app could be your best friend if you want to improve your French. 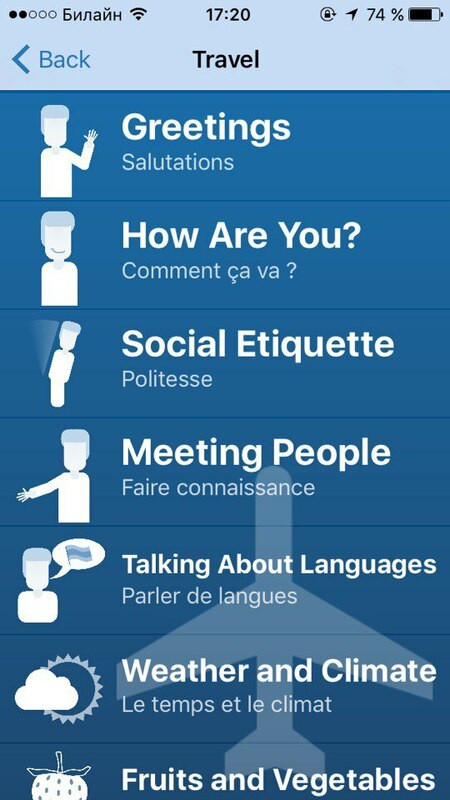 It is kind of social network, where people from all around the world are ready to help you with the questions on language and culture. Native speakers could explain things which are not available at schools or in your language courses. It takes minutes to get an answer on the most specific topic. 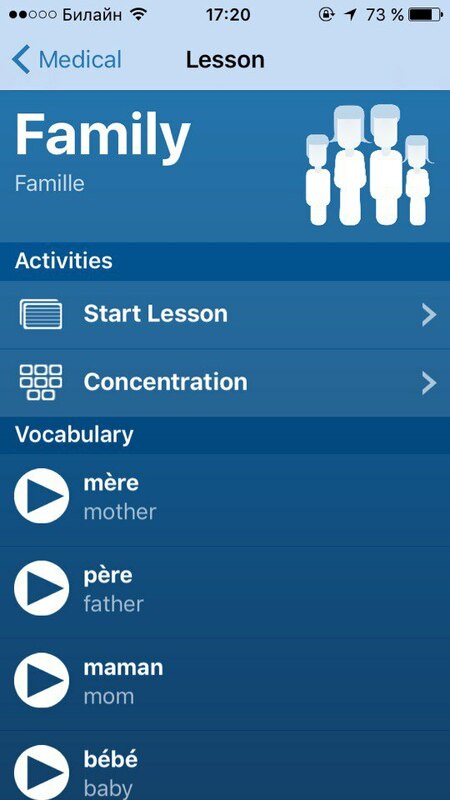 This app tends to be one of the simplest way to learn French by memorizing words and phrases for travelers and beginners. In the app you can choose the speed of the pronunciation by clicking on turtle (slow) or on speaker (ordinary). 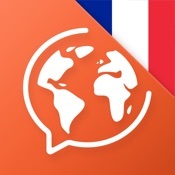 Tres Bien is the award winning app helping to learn French. 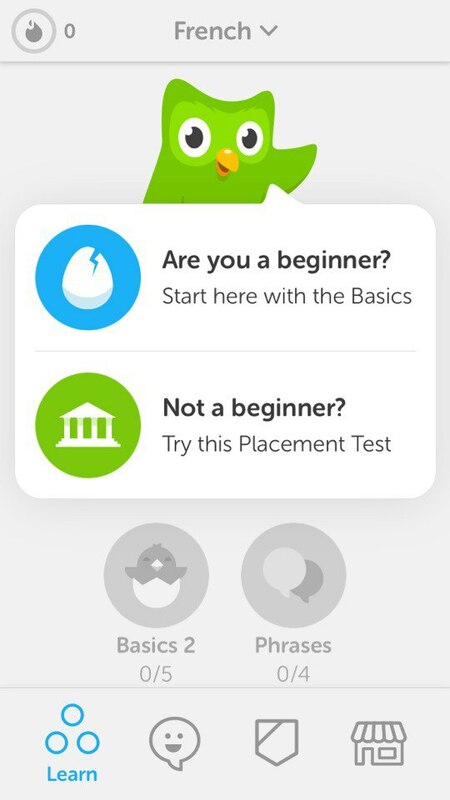 It has the levels from Beginner to Advanced and additional topics as Business, Travel, Medicine, News and Politics, Computers and Internet, Fixing the House and Cleaning House and Religion. All 75 lessons are based on real situations. 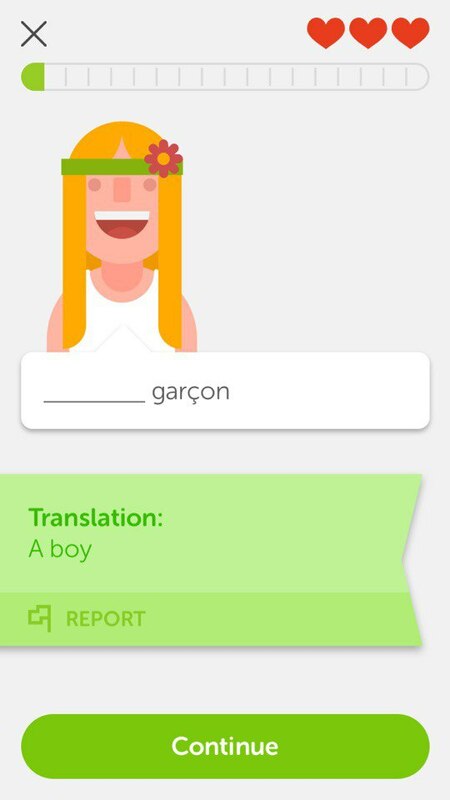 While learning languages, it is important to study grammar. Tres Bien suggests easy-to-understand theory. 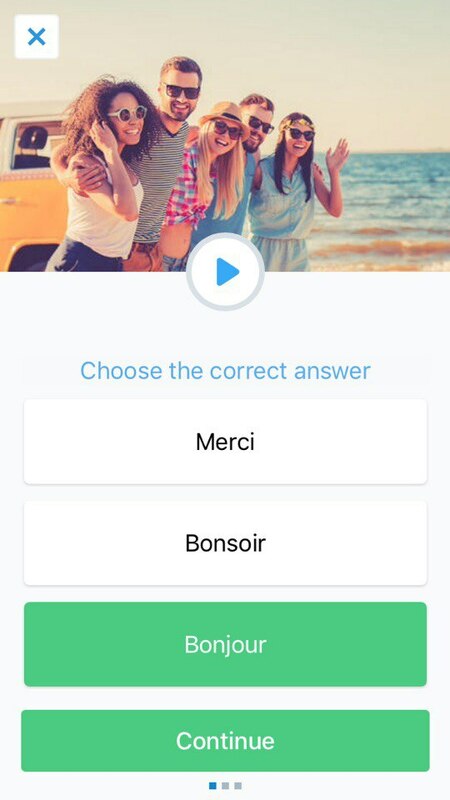 During your studies the app adapts to your progress and creates quizzes special for you. The major benefit of Tres Bien is that there no hidden ad or integral purchases. It is also available offline. Looking through the dictionary for a definite word? 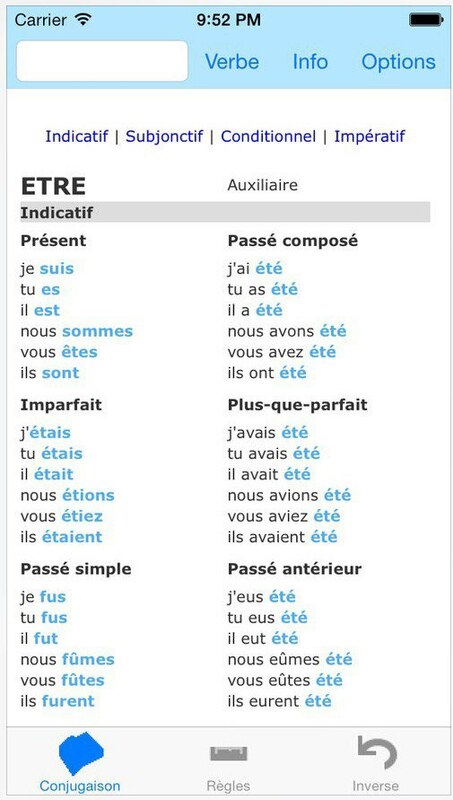 Curious about French every day phrases? Ascendo might be the best companion for you. 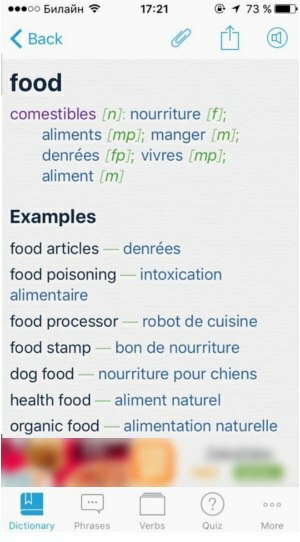 Android Ascendo also includes a machine translator, which is developing by implementators and users. 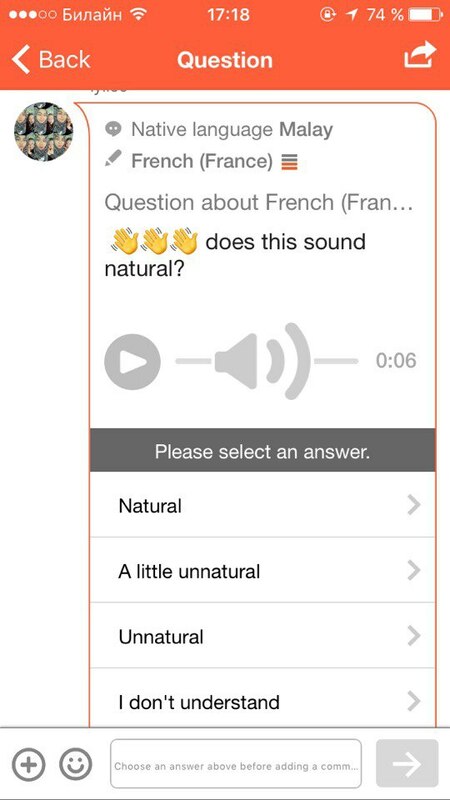 Soon it will be possible to analyze and replace pieces of suggested translation. 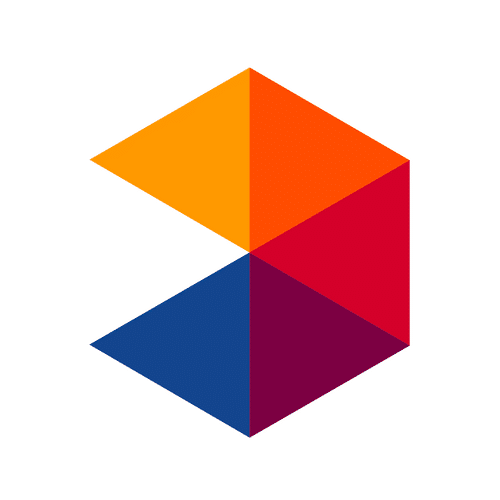 The policy of Ascendo is to bring users together and enable them to create and share content. 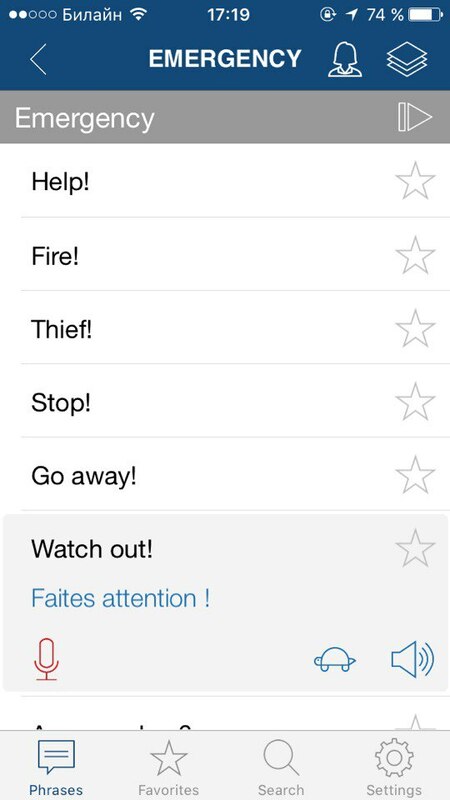 It is allowed to add your own examples to the phrasebook in order to keep abreast of developments of language. 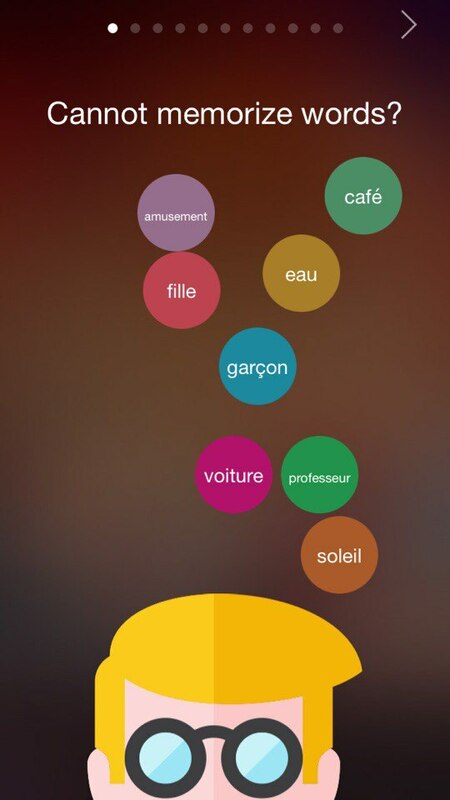 One more nice feature of this app is an opportunity to add some notes, pictures or audio to translations. It will help you to build up a set of associations and place learned words and phrases into long-term memory. The Dictionary has basically offline mode. The only thing requiring Internet is audio pronunciation. 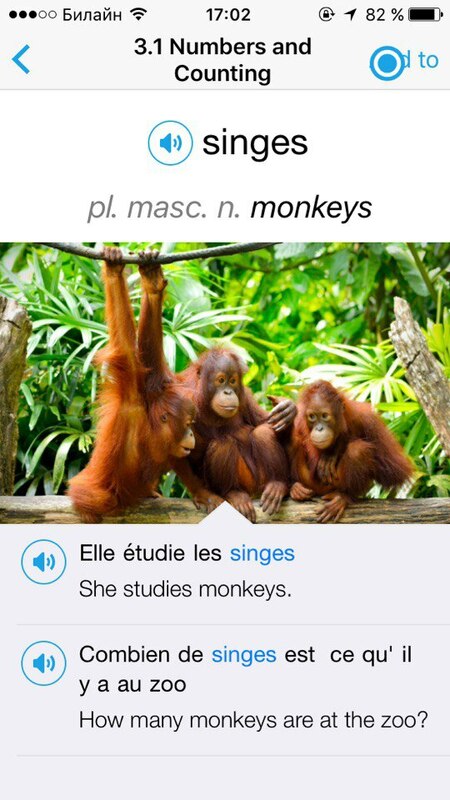 This app could become your best adviser in the French conjugation. Now it is easy to find even the most difficult verb offline. 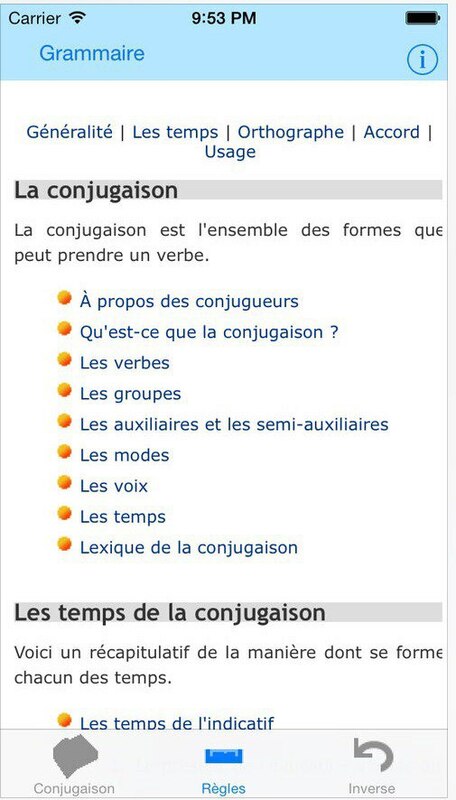 Le Conjugueur contains the conjugation for about 9000 verbs. 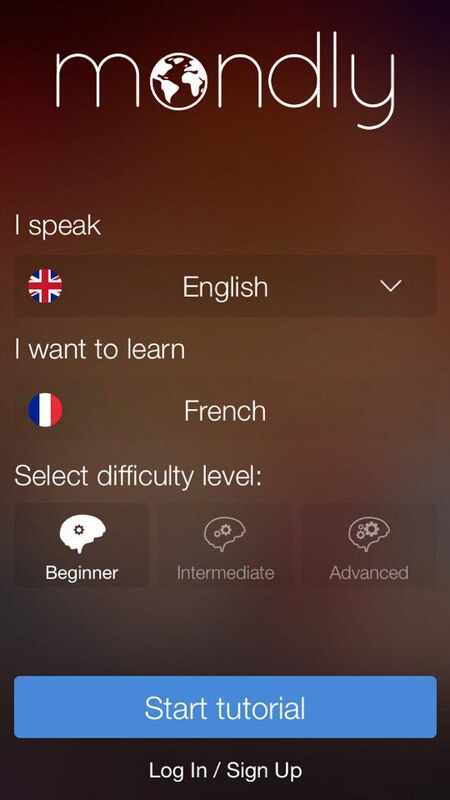 We have reviewed 12 Best apps to learn French. Don’t forget to challenge yourself using new words in your speech. Practice makes perfect!